About Kern Media: Denver SEO Experts & Consultants. Veteran Expertise. Kern Media is a team of Denver SEO expert consultants that work with clients around the United States as well as locally in Denver, Colorado. 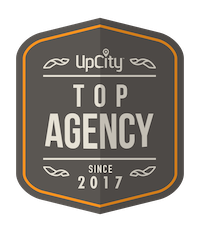 We’re heavily focused on content strategy and technical SEO to help our clients grow their revenue. That’s the bottom line. We lean heavily on the massive potential within Google and other search engines to increase organic search engine traffic and conversions. We often work with eCommerce sites, lead generation sites and publishers, but are always open to investigating any engagement and working with any brand that deserve our respect and attention. Our extensive backgrounds in the publishing industry and as senior consultants at larger agencies have allowed us to optimize upwards of 500+ websites in our time as consultants. We bring multiple decades of combined experience, and all of this qualify Kern Media to be the Denver SEO experts that you want on your side. Have confidence when hiring Kern Media for SEO services. We are Google Analytics Certified, Inbound certified, and featured with quality reviews as a top Denver SEO firm. I’ve helped many reputable sites exponentially increase their website traffic using white-hat SEO techniques that start with understanding target customers and your business goals. As a Denver SEO expert who considers himself more of a strategic marketer, We make a match between the customers you want to attract, the topics they are interested in (and keywords they use), the content that needs to exist on your site to attract them, and the places where your content should be marketed in order to drive traffic, links, and ultimately…new customers. SEO is still extremely relevant and a very effective online marketing practice. Much of SEO is simply a strategic implementation of the learnings from target audience research. How can that ever die? Topical keyword research, on-page optimization, creative content strategies and genuine content marketing that results in increased brand awareness will stand the test of time. That is the core strategy that results in natural links, positive social signals and all the other trust signals that Google uses to rank a website highly in its search results. At the same time, we believe that traffic should be generated from many different sources…not just Google. Diversification is critical to any investment. Corey is the rare breed of individual that enjoys VLookups as much as he enjoys nerding out over content strategy with a large-scale editorial team. From in-depth technical audits, to dizzying, multi-site migration endeavors, to coordinating optimization efforts across every conceivable department at a company, Corey feels comfortable doing what he does best; working with honest folks, doing honest work, and delivering honest growth in both traffic and conversions. At one point Corey saw himself managing over 350 remote freelance writers spread across nineteen websites, driving every aspect of keyword, content, payroll and writer management throughout the process. In 2017 he found himself face-to-face with multiple 80-page+ technical audits detailing all the good, bad and every in-between aspect of several websites for major players in the online e-commerce world. Corey has worked with Dan since 2011, and has contracted with Kern Media for his own client projects before working with Kern Media as a Senior SEO Consultant. Jennifer has always thought about SEO as an exciting puzzle. Strategically putting together important pieces to get to the big picture…which are her client’s business goals. She geeks out at the opportunity to employ the best tools and methods available towards researching keywords, discovering target customer personas, content development and finding the best plan of attack for her client’s business needs. When Jennifer isn’t optimizing websites and content, she is expelling her creative flow in the form of blogging and copywriting for entrepreneurs who need quality and compelling copy, but do not have the time in their hectic schedules. Having the opportunity to see the picture from both sides, Jennifer is always striving to utilize the latest and greatest techniques in SEO and content development. BUSINESS GOALS: How could any marketing campaign begin without clearly identifying the business goals? I’m not talking about traffic, either. I’m talking about bottom-line revenue goals What % year-over-year growth do you need to achieve? Are your goals shorter than that? Looking for a certain amount of leads per month in order to feed your sales efforts? Need to reach a certain amount of advertising revenue in order to hire more staff? Those are the goals that we want to help you achieve. Traffic doesn’t pay the bills, and we’d bet you’d rather have $1M from 1 visit versus $1 from 1M visits. Right? CUSTOMER PERSONAS: Many SEOs start their process with keyword research, yet we like to start even earlier in the thought process and start with the customer. Who are the different types of customers that come to your website? What is their age, gender, marital status, general health, primary interests, outside interests, problems, desires, favorite food, favorite cocktail? Yes, it’s important to get that deep. Just as a musician “gets in the head” of his/her inspirations in order to master their style, we must get in the head to master our understanding of your customers. From there, we can then make much more sense out of keyword research. CONTENT: The central purpose of most websites is simple: provide content, products, or services which offer value that your visitors can’t find elsewhere. People come to the internet looking for information, products, services and entertainment. A website owner must know and cater to his/her audience with the most targeted & highest quality content possible, whether this be in the form of articles, product descriptions, or any other resource. Give them what they want and beyond…and be the best at it. Your job is to be compelling. Even that is not enough. We now need to repurpose that content in different mediums and through different channels, without duplicating text yet keeping messaging consistent. SEO today is much more focused on content marketing than it ever was in the year 2000. You must be a publisher to reach your audience. EMAIL CAPTURE: Most visitors to your website won’t come back, and you have one shot to capture their email address for later marketing. This is done through a value exchange (free download, etc.) and strategically created forms that capture your visitors names, emails and interests. Once acquired, your business can then send a series of automated emails to your audience targeting their interests in order to increase your conversion rate than if you attempted to convert people only on your website. Not every visitor is ready to buy (or contact you) right away. Build a relationship first. LINKS: Once optimized content is in place on your website, improving search rankings requires that your website attract more links. Attracting one-way, inbound links to your website is an important part in the SEO process (after on-page content has been optimized), and is best achieved through creating amazing and in-depth content that builds your brand at the same time. Other strategies, such relationship building, ego baiting, contests and other forms of content marketing can be employed to help build inbound links. It’s even more valuable to build inbound links from topically relevant and authoritative websites in Google’s eyes…but they require a respectable brand and online presence in order to attract such links. An ongoing effort in this area is required to build & maintain high search rankings. SOCIAL MEDIA: A presence on popular social media sites provide Google with trustworthy signals of your “brand” on the internet. The internet is really all about communication, and social media has propelled the internet to offer internet users the ability to connect with one another. It’s time to get on the bandwagon, if you’re not already, and be an active player in the social media space. Google may not necessarily use social signals to impact rankings, but Google wants to rank brands…and respectable brands almost always have obvious social footprints. ENGAGEMENT: With search engines becoming more sophisticated, it’s now clear that user behavior, engagement, and branding are critical. It’s important for Google and other search engines to see that your brand is searched for. It’s even more important that when people visit your website from search engines, they stay there, click around, and revisit your site. You want people to “dwell” on your website…and Google will notice. TECHNICAL SEO: Ensuring that your site is easily crawlable by Google, Bing and other search engines is critical to ensuring that all the hard work in the other areas of SEO + Inbound Marketing have the impact that you desire. Your robots.txt file must be properly optimized to allow for efficient crawling, your XML sitemap must be accurate, your site should employ canonical URLs to avoid duplicate URL paths, indexation bloat should be minimized and low-quality/thin content should be pruned to allow your high-quality content to drive as much keyword traffic as possible. This is an area where nearly every business fails without an SEO expert’s assistance. This our approach. We welcome you to contact us if you think we can help your business.